Check out these shoes. My daughter Isabelle picked them up from Charlotte Russe for $15...boom...what a deal! They are pretty amazing right. They take her from a 5'4" to 5'11"...crazytown! 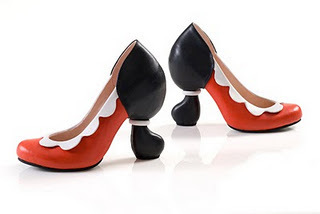 Olive Oyl ~ I want these SO BAD! OMG! 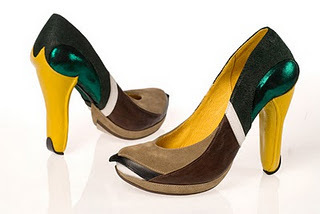 These are some fun and crazy shoes! I love your costume...I may have to steal that for this year! Too cute! Thanks for stopping by my blog and following. IFB rocks! Cheers! Never seen shoes like thjs before.Cool. 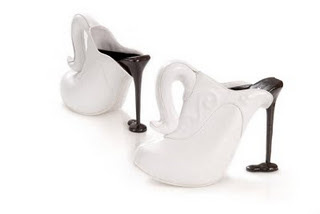 The swan shoes look so interesting! Your Halloween costume is so great, made me laugh! 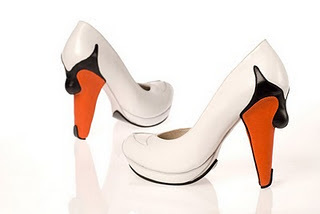 very original shoes!! love the swan shoes!! awwww those shoes are amazing! Jeffrey Campbell make some crazy shoes! That such an original idea for dressup! I love a good heel. 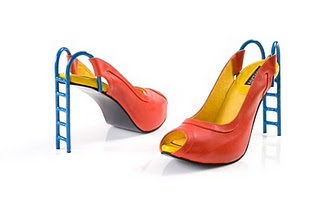 those shoes are incredible, the one that looks like a slide is so clever. the gum on the bottom of a shoe is also brilliant ! 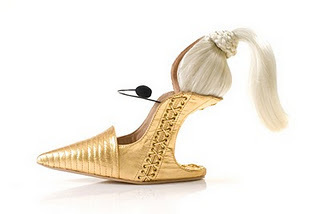 These are some crazy shoes! I wear high heels but I cannot wear 6 inches and I do not think I will rock those slides! LOL! All of the others are cool!